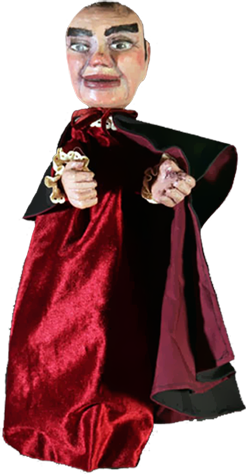 Russian puppeteer. From 1943 to 1946, Marta Tsifrinovich attended the directing and designing courses at the Gosudarstvenny akademichesky tsentralny teatr kukol imeni S.V. Obraztsova (Sergei Obraztsov State Academic Central Puppet Theatre). Influenced by the solo performances of Sergei Obraztsov, she began to appear on the variety stage. Her main solo programmes included Chto na chto pokhozhe (What Looks Like What? ), Ya i kukla (Me and the Puppet) and U kukol vsyo, kak u lyudei (Puppets Are Like Humans). One of her favourite characters was Venera (Venus) Pustomelskaya, the “inexhaustible lecturer on every existing pseudoscience”. 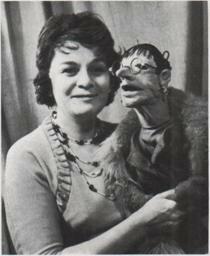 The puppet was made by Yekaterina Bekleshova (1897-1977), a master of the Muppet-type puppets. Harmonious in its proportions, the bespectacled puppet with an enormous necklace, constantly discoursing on “the general problems of human existence”, Venera became extremely popular. Marta Tsifrinovich toured the USSR and abroad. In the decades from 1960 to 1980, she appeared on television programmes as popular in the USSR as The Muppet Show was in the United States at that time (see Jim Henson). 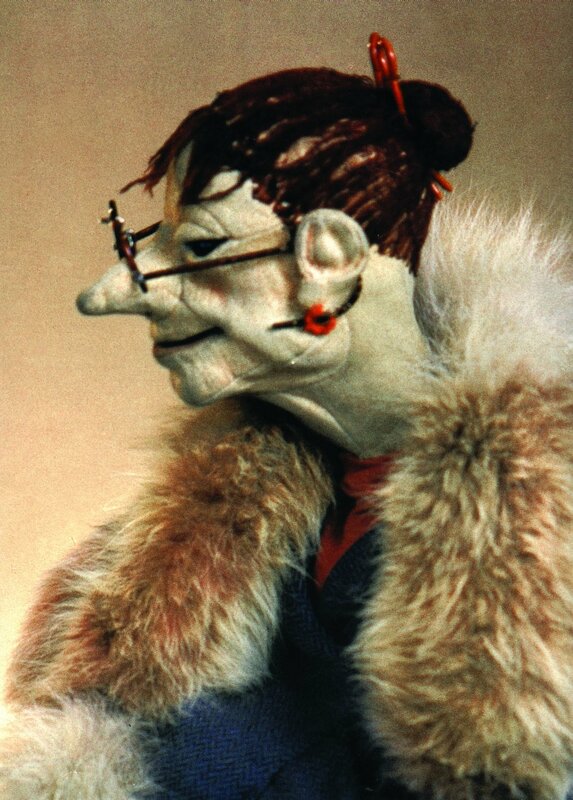 In the illustrated 1989 UNIMA calendar featuring “puppet superstars”, Venera Pustomelskaya appeared alongside the puppets of Philippe Genty, Albrecht Roser, Josef Skupa and other notable masters. In 1984, Marta Tsifrinovich made her debut as a director, staging Ogon nadezhdy (The Fire of Hope), a poetic musical show based on Picasso paintings. The production was revived in 1995 at the Ognivo theatre (Teatr kukol “Ognivo”) in the Moscow suburb of Mytishchy. Working for that theatre, Tsifrinovich continued her research, producing Zavtra nachinaetsya vchera (Tomorrow Begins Yesterday, 2002), a composition tracing Russia’s 20th-century history in the paintings of various Russian artists. 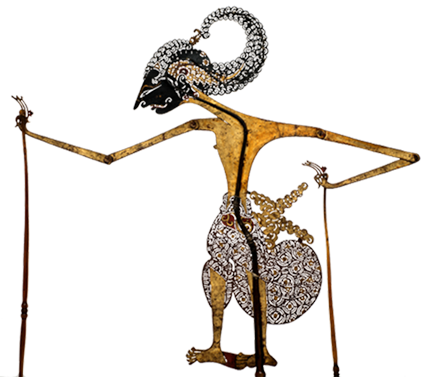 Traditional puppetry techniques were effectively integrated into the production with such new elements as electronic music, installations and computer graphics. 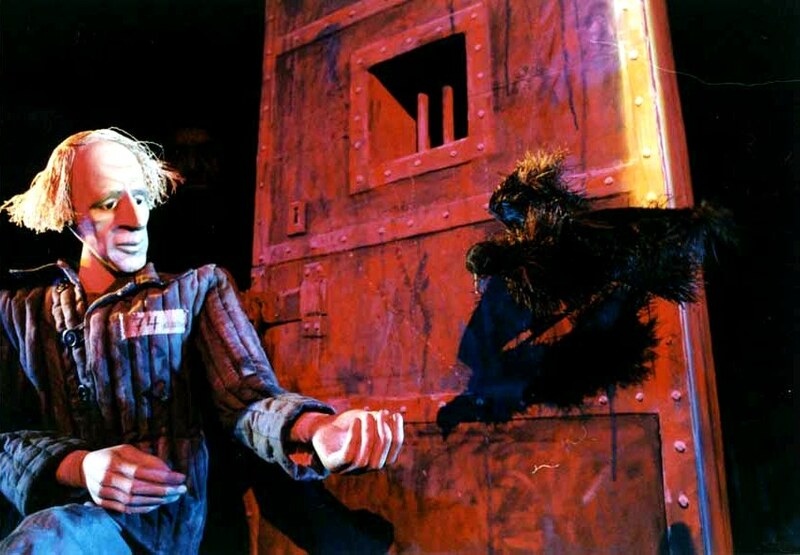 The production was presented at the 19th UNIMAWorld Puppetry Festival held in Rijeka, Croatia in 2004. Marta Tsifrinovich has received numerous national and international awards. She published her memoirs, U kukol vsyo kak u lyudei (It’s With Puppets Like With Humans), in Moscow in 2003. Goldovsky, Boris. Kukly Entsiklopediya [Puppets. Encyclopedia]. Moscow: Vremya, 2004, p. 437.